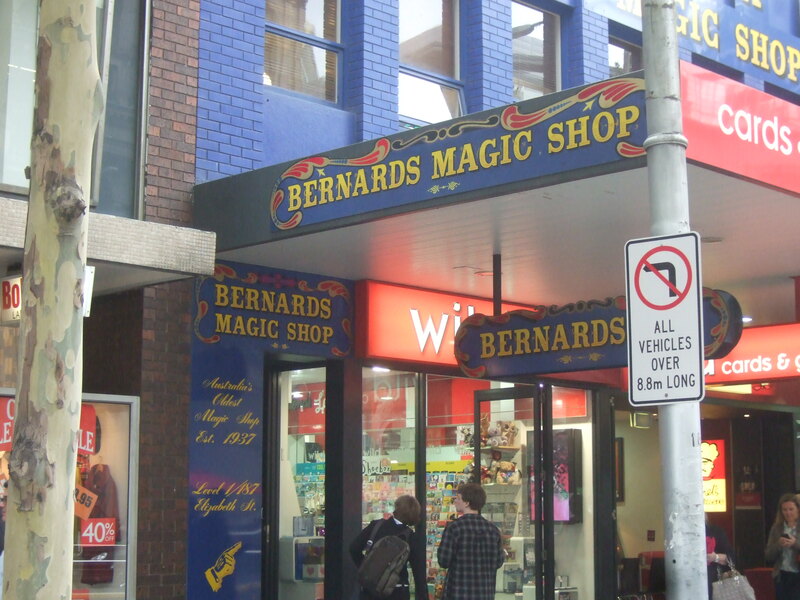 Unfortunately Bernard’s Magic Shop no longer operates, however they will continue to trade online at http://www.bernards.com.au/. Please read on for a historical look at one of Melbourne’s great shops. If you didn’t know any better and read about a shop established in 1937 that specialises in magic tricks, you would assume that it was a historical relic, a throwback to another time. Not the case. Bernard’s Magic Shop, located in West Melbourne, is 77 years of age and still going strong. It continues to plays a vital role in serving the pranksters, jokers, clowns, larrikins and magicians of our city. The first thing you will likely notice is a beautiful crafted exhibit of magic and art that changes throughout the year (see right). This is symbolic of the fact that Bernards sees itself as a place for viewing as well as buying. On the lowbrow end of the store you have the gimmicks and jokes that never get old. You may recognise some from your childhood such as the whoopee cushion, fake blood and various instruments designed to squirt people (mostly younger siblings I imagine). 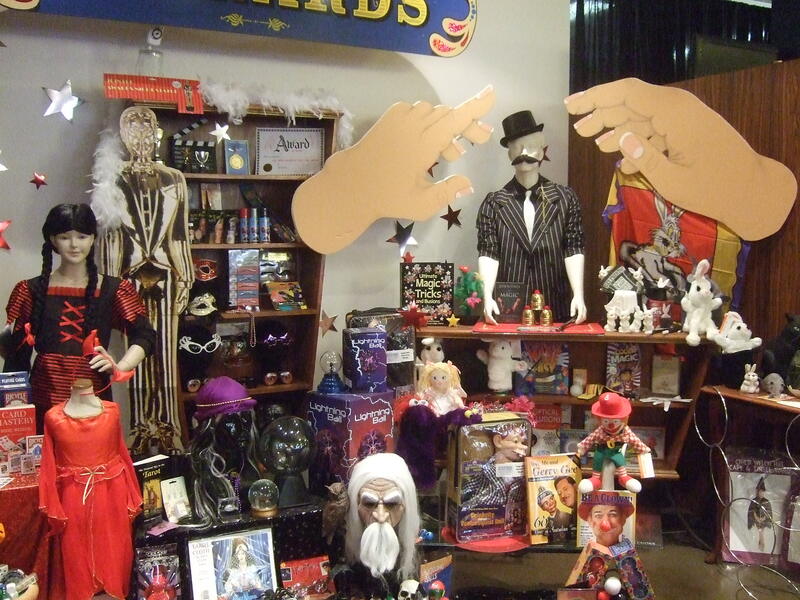 Continuing around the store and you will find rings, knifes and juggling equipment for budding circus acts; costumes and accessories that make the perfect Halloween outfit; and everything needed to literally make a clown of yourself. But of course, if you take your magic seriously you will want to go straight to the main counter where you will find the wands, cards, hats, clothing and accessories essential for magic. There are magic packs and a multitude of how-to books and DVDs. From beginner card tricks to making stuff disappear, magicians both emerging and established won’t be able to leave the store without a few more tricks up their sleeve.